Kirsten graduated from St. John’s College, Cambridge with a BA Honours degree in Law. Subsequently, she practised at the Bar in London for over 15 years in two leading sets of commercial Chambers, appearing regularly as an advocate in the High Court and Court of Appeal. Commercial disputes, commercial contractual and tortious matters. Insurance and reinsurance, company and shareholder disputes, construction and property related matters, information technology, pre-emptive remedies including freezing orders, search orders and enforcement of employees’ restrictive covenants, data protection and freedom of information and all aspects of commercial professional negligence. Experienced mediator and construction industry adjudicator and a member of the Nominet UK panel of experts for deciding .co.uk cybersquatting disputes. Advised and represented corporate and private clients in connection with disputes concerning breach of director’s duties, breach of warranty of authority, minority shareholder applications, breach of share sale agreements (warranties and restrictive covenants) and exercise of shareholders’ rights of pre-emption and transfer. Acted in numerous policy interpretation and coverage disputes, and has also acted for and against brokers alleged to have acted in breach of instructions or negligently. 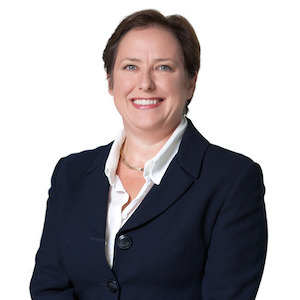 Chambers Global 2011 Guide states Kirsten’s expertise encompasses a range of commercial disputes work, including shareholder disputes. In 2004, she won the Chartered Institute of Arbitrators’ President’s Prize for arbitration award writing.